We have a long association with tennis, which stretches back to 2001 with our first visit to the Queen’s Club for what was then called the Stella Artois Championships, and 17 years later we are still there providing live scoring and presentation graphics for BBC Sport. Although the grass court season in the UK is limited to just a handful of weeks, we work on tennis projects throughout the year, including the recent round of the Federation Cup for Perform, Davis Cup for British Eurosport and BBC Sport and the end of Season ATP World Tour Finals held annually at the O2 in Greenwich. 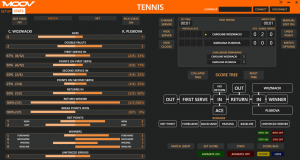 At the centre of our graphics services for tennis we have a bespoke scoring app that has been developed and refined to accommodate a wide range of scoring formats. In 2018 the software has been completely re-written to take advantage of some new statistical enhancements and data sources. This summer will see the newly established Wimbledon Broadcast Services (WBS) produce the host coverage for The Wimbledon Championships for the very first time. 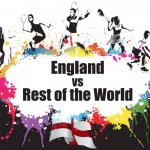 With a long history in tennis, MOOV were commissioned to rebrand the entire UHD graphics package for WBS and deliver on-air graphics for The Qualifying Competition ahead of the championships. This was a process that took over 6 months and involved the design and animation of everything from scoring and match stats to presentation graphics, stings and wipes. 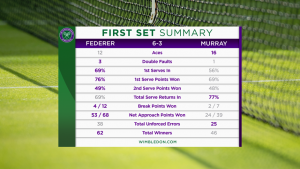 Our tennis graphics team will again be in SW19 for the duration of The Wimbledon Championships delivering design tools and expertise, and live studio graphics for BBC Sport. New for 2018 we will be working with WBS to provide graphics services for all their international channels, including The Wimbledon Channel. Also, during the summer tennis season, we will be in Nottingham, the Queen’s Club and Eastbourne, as well as providing live scoring graphics for the Wimbledon Qualifiers held at Roehampton.